Mahalakshmi temple of Mumbai stands on the shores facing the Arabian Sea. 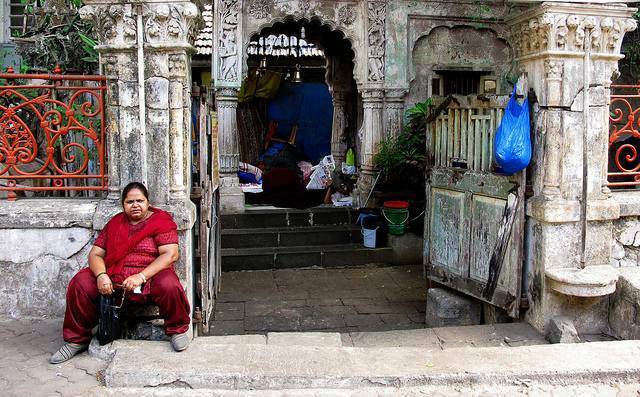 Dating back to 18th century, the temple was built by a merchant named Dhakji Dadaji. As per facts, the statue of Goddess was recovered from sea. Inside the Mandir, you can there are three statues each dedicated to Goddess Mahalakshmi, Goddess Mahakali and Goddess Maha Saraswathi. The deities are well attired and decorated with colorful bangles and sparkling nose rings. Devotees believe that their wishes will be full filled by offering prayers to these Goddesses. There are many stalls around the temple where you can buy the flowers and garlands required for Pooja.